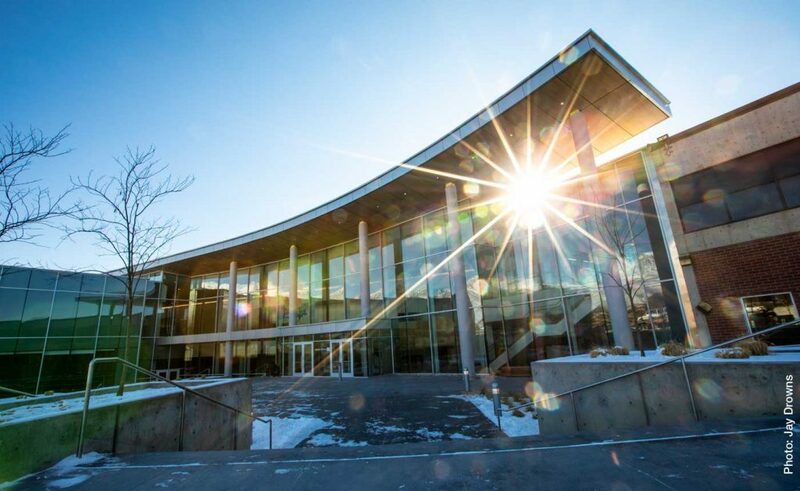 OREM, Utah (March 25, 2019) – The Utah Symphony and Utah Valley University officials today announced the Utah Symphony’s six concert series at the new 130,000 square foot Noorda Center for the Performing Arts in Orem, Utah as part of the orchestra’s 2019-20 season. Subscriptions are on sale starting March 27th at utahsymphony.org/thenoorda. The performances will take place in the main concert hall at the Noorda, which seats a total of 889 including the 165-seat choir loft. The entire Noorda Center complex features seven performance venues including the concert hall, an outdoor amphitheater, a 500-seat proscenium theatre, a 175 seat flexible theatre with retractable wall and audience seating, a blackbox theatre, an instrument ensemble room and a 125 seat recital hall. “This collaboration between the symphony and Utah Valley University will bring world-class orchestral music to the valley — and give audiences the opportunity to experience history’s greatest musical masterpieces in our marvelous new concert hall with its unparalleled acoustics,” Stephen Pullen, dean and artistic director for UVU’s School of the Arts. Utah Symphony’s expanded presence in Utah County reflects the organization’s commitment to connect and inspire communities throughout the state with live music performances. Since 1965, the orchestra has performed regularly in Ogden in the Austad Auditorium at the Val A. Browning Center on the Weber State University Campus. Utah Symphony also performs at other venues in Utah County, including the de Jong Concert Hall at Brigham Young University in Provo, Thanksgiving Point in Lehi, and SCERA Shell in Orem. As part of its education outreach program, the orchestra also travels throughout the state performing for public school students in auditoriums and gymnasiums – including eight schools in Utah County this season – reaching upwards of 70,000 students each year. Two statewide tours in recent years, led by Music Director Thierry Fischer, took the Utah Symphony to perform a series of free outdoor classical concerts to communities from Vernal and Teasdale to Bluff and Springdale, and against the backdrop of several of Utah’s national and state parks. World-renowned guest artists and conductors will grace the stage at The Noorda as part of the inaugural season. On October 23, Aziz Shokhakimov, the newly appointed Kapellmeister at the Deutsche Oper am Rhein and Principal Guest Conductor at La Verdi Orchestra in Milan, makes his Utah Symphony debut conducting Mussorgsky / Rimsky-Korsakov’s “Night on Bald Mountain,” Prokofiev’s “Symphony No. 5,” and Rachmaninoff’s “Rhapsody on a Theme of Paganini,” featuring the Utah Symphony debut of 2016 International Queen Elisabeth Piano Competition winner Lukáš Vondrácek. A holiday concert on December 4 features Broadway star Ashley Brown, of Mary Poppins fame, and choristers from The Madeleine Choir School performing favorite Yuletide carols and warm firesides. The series continues in the New Year with Metropolitan Opera mezzo-soprano Isabel Leonard performing Mozart opera arias with the orchestra led by preeminent Baroque Canadian conductor Bernard Labadie on January 9, 2020; and Korea-born Joyce Yang playing Gershwin’s Piano Concerto in F on February 6, 2020 under the baton of Maestro Thierry Fischer. The 2019-20 Utah Symphony at The Noorda season closes on March 26, 2020 with the fourth Utah Symphony appearance of Kazuki Yamada, the Principal Conductor and Artistic Director of Orchestre Philharmonique de Monte Carlo, leading the orchestra in “Carmina Burana.” Utah Symphony Concertmaster Madeline Adkins will play Vaughan Williams’ “The Lark Ascending” and the world premiere of Nathan Lincoln de Cusatis’ “The Maze,” inspired by the remote area of Canyonlands National Park in Southern Utah.